Sometimes you want to vary your leisure time, but these days it is not so easy to do it. If you are tired of regular walks in the parks and city bicycle paths, you visited all the sights and museums, and you like active recreation and cycling, then we'll give you some interesting ideas. 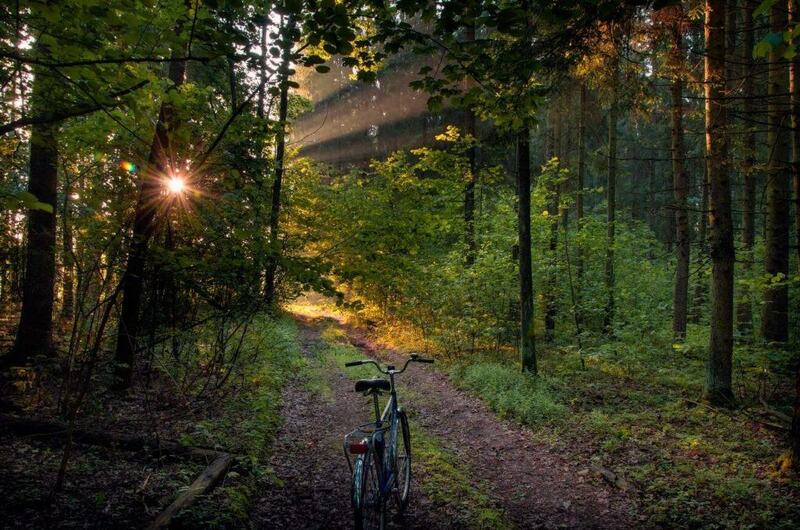 In our review, we present the TOP 5 cycling routes of Belarus. You can choose a route for your forces of different difficulty levels. Summer is not far off, get your "iron horse" and go to travel around our country! If you do not have your own bicycle, it does not matter, you can rent one in Minsk and take a ride on any of the routes you are interested in. 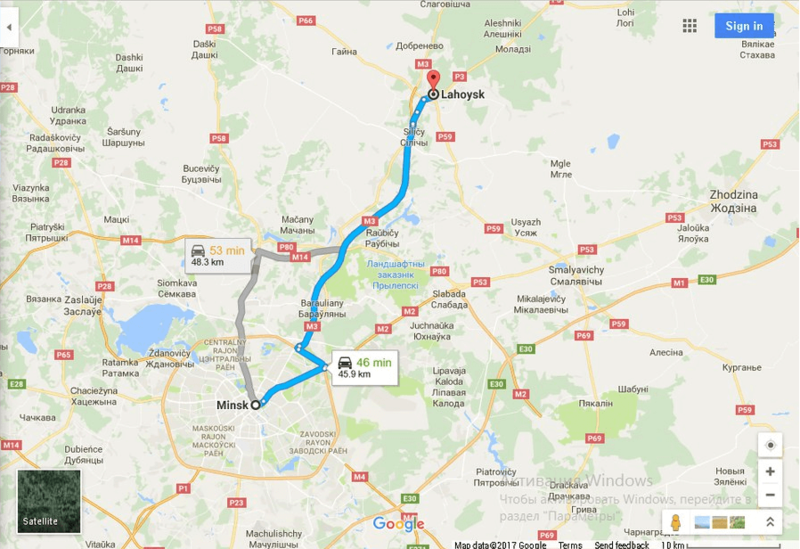 Renting a bike in Minsk or anywhere else in Belarus is very cheap comparing to European prices. Since about 2012, cycling in Minsk was quickly gaining in popularity and every year more and more bike paths were built and bike rentals opened. So, now you can find one almost everywhere in the city. In other cities of Belarus, it also isn’t a problem to find a bike rental. Prices start from $1/hour and $4-5/day. The closest bike rental you can find on this website (unfortunately, only in Russian). Few people know that Belarus also has its own Switzerland, which is located in Logoisk district, in the Vitebsk direction. The reason for such a name is the difference in heights, but it is high there for flat Belarus having the highest mountain is just 345m. So, riding a bike through this area will not be too difficult, but even more picturesque, especially in the off-season. Having reached Logoisk from Minsk, you can have a rest and a snack in local cafes, feel the spirit of the Belarusian province. In the very city, it will be very interesting to ride a bicycle in the old park, to inspect the ruins of the palace, once belonged to the Tyszkiewicz Count's family. Also worth visiting is an interesting local history museum about the "Belarusian Switzerland", which bears the name of Constantine and Eustace Tyszkiewicz, as well as the art gallery of Sergey Davidovich. After a grueling trip, you can plunge into the bath of the St. Nicholas Church, but the temperature of the water here is not more than 4 degrees. 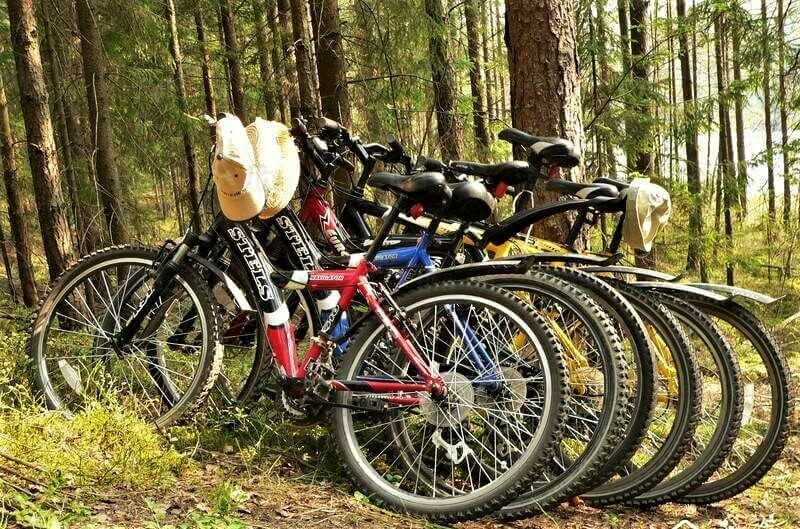 On a bicycle, it will be pleasant to reach the Gaina river - the right tributary of the Berezina. There is a beautiful pier on it, and you can take some water from the curative spring on the way back. This cycle route is suitable for cyclists who are confident in their abilities. 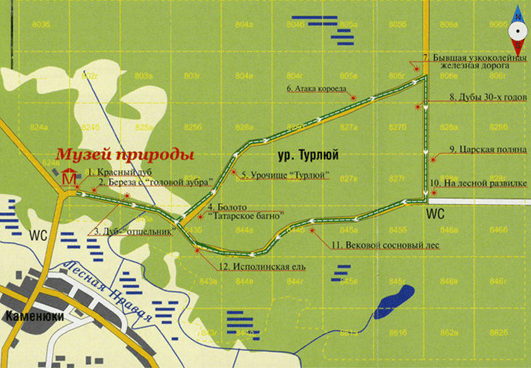 A pleasant fact is that from Minsk to Raubichi there is a cycle path, but then you will have to drive along the road. When visiting Belarus, why not to visit the highest point of the country, which is even reachable on bike. The mountain is called Dzerzhinskaya, and until the middle of the 20th century, it was called Svyataya (Saint). The height of the peak is 345 meters above sea level. In the late 1990s, a granite slab with a commemorative inscription was erected on the mountain. 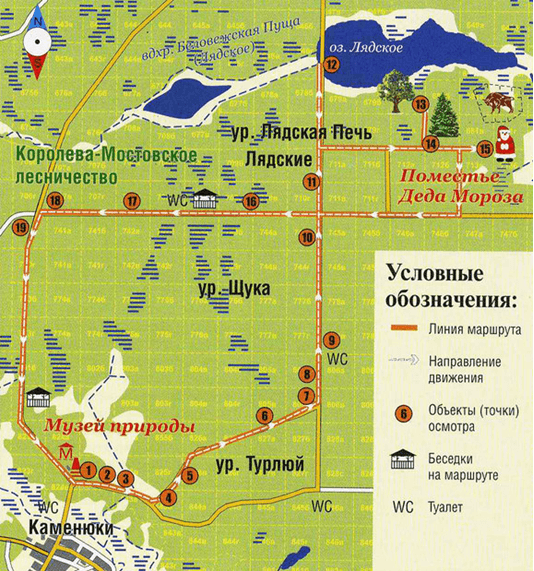 This cycle route will run along the Minsk Upland, and is recommended for experienced cyclists, since the path is not close and goes all the way up the hill :). Also, in our TOP-5 we included a trip to a beautiful old estate near Minsk, which once belonged to the family of Gutten-Chapsky. The two-story building, built several centuries ago, for a long time was called the bewitched palace, since it was always associated with many different legends. It should be mentioned that Mikhail Kleofas Oginsky, the author of the famous Polonaise, often visited the estate, since Priluki belonged to his uncle. Now, the building is the Institute of Plant Protection. In 1926, the first national Belarusian film “Lesnaya Byl” was filmed in the estate. In the film, the leaders of the time Adamovich, Knorin and Chervyakov, who led the partisan movement during the Civil War, played as themselves. In front of the estate, a beautiful old park stretches, along which you can stroll, as well as ride a bicycle to the pond. On the other side of the reservoir opens a picturesque view. On the hillock, a brewery, a barn, a house for servants lined up, but they are now empty. The Czapski Brewery is being restored. On a summer day, you can arrange a picnic on the shore of the pond, as well as swim if the weather is good. And, gaining new strength, in a good mood to go on the return journey. 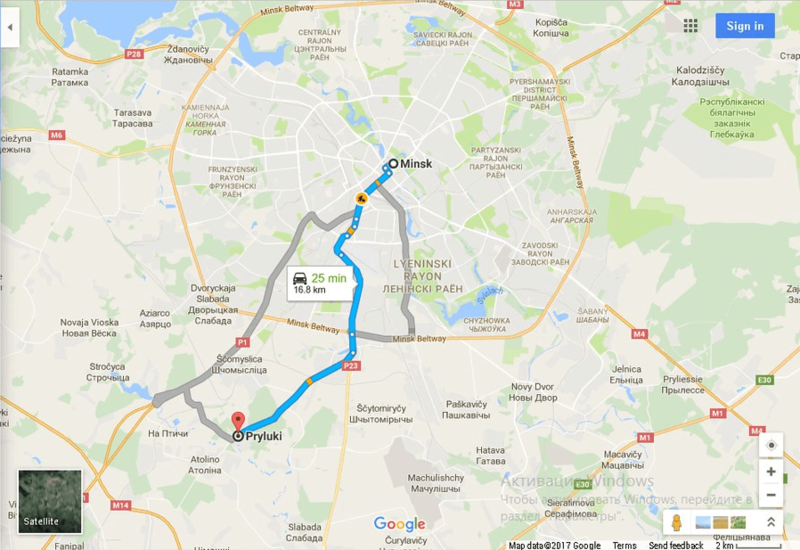 This cycle route is perfect for beginners and is perfect for a day trip to the suburbs of Minsk. Outside the city, the road is not ideal for cycling, but it is quite suitable. The main part of the route runs through the city, and after the Ring Road, along the Slutsk route, it does not take long to travel, the more beautiful landscapes open up. Bike route “Miory Round-the-world trip"
Well, and for a snack we have prepared for you a cross-border cycling route that runs through the north of Belarus and the south of Latvia and is beautifully called "Miory Round-the-world trip". This route is suitable for real tourist-walkers, lovers of bike riding, and is designed for 9 days. 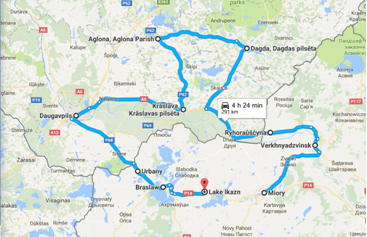 The route is a local lore and runs along the Verhnedvinsky and Braslav districts of Belarus and the river Daugava / Zapadnaya Dvina in Latvia. During the cycle route, you can visit the following towns: Miory, Leonpil, Verhnedvinsk, Saria, Rositsa, Grigorovshchina, Patarnieki, Piedruya, Dagda, Andruchene, Aglona, ​​Kraslava, Daugavpils, Silene, Urbany, Slobodka, Maskovtsi, Braslav and Ikazn. 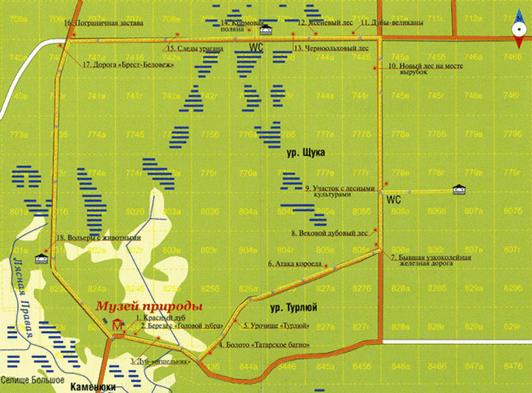 Following the route, you can see the Church of the Assumption of the Virgin Mary and the Historical and Ethnographic Museum in Miory; In Lepopol - Lopatinsky Palace in the Baroque style; The obelisk of the memory of the war of 1812, the church of St. Nicholas the Wonderworker and the Church of the Nativity of the Blessed Virgin Mary of the 19th century in Verkhnedvinsk. 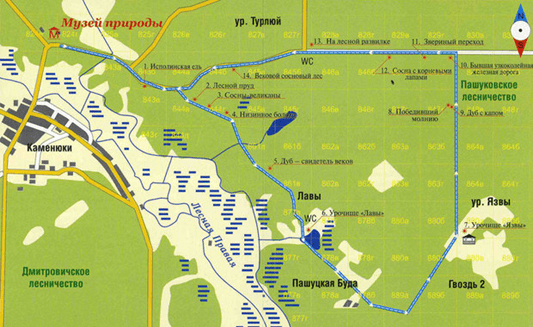 It was our list of Top 5 cycle routes in Belarus, mostly with a base in Minsk. We hope that it helped you to decide, how to spend a great day in Belarus in an active way. Have a nice trip!